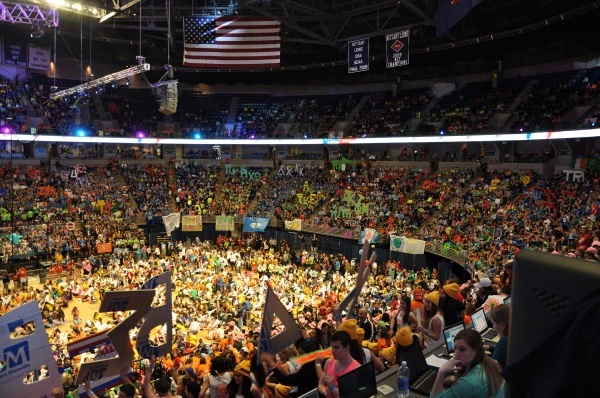 Comments Off on THON 2014: Songs We Can Dance To All 46! As THON 2014 begins, the dancers stand and the music is blasting, the energy is high and the stands are going crazy with excitement! With that said, we’ve put together a playlist thats going to keep this party going non stop all 46 hours! So when you’re coming back from those crazy sleep shifts, turn up this playlist on your way back to the BJC and it’ll bring your energy level right back up, no matter what time it is! So get your hot loops, Fat Heads, tutus, and water guns ready to go and enjoy this life changing experience! See you on the other side Penn State!